For years I have salivated over Swiss label Walter Steiger's trend-infused, minimalist shoe line. Started as an exclusive tailored shoe atelier by Walter Steiger Sr. in 1932, his son brought and catapulted the brand to worldwide fame by opening the first boutique in Paris in 1974 and followed soon after by Milan, London and New York. The luxury shoe line has collaborated with some of the most legendary fashion designers such as Ungaro, Nina Ricci, Sonia Rykiel, Maison Chloé, Calvin Klein, Claude Montana, Oscar de la Renta, Kenzo, Alaïa, and Karl Lagerfeld. Walter Steiger's contribution to the world of fashion includes the use of fluorescent leather, transparent plastic, the invention of the first high-heeled riding boot, a variety of heel shapes, boots designed as gloves and recently sandals with zippers at the back. Because Walter Steiger is a family business, up until very recently the distribution network was based exclusively on flagship stores, and through a very few and selective distribution channel. But with new management at the helm, the brand is taking a more open approach to its marketing and distribution, which signifies an increasing US presence. Walter Steiger is finally within my reach! 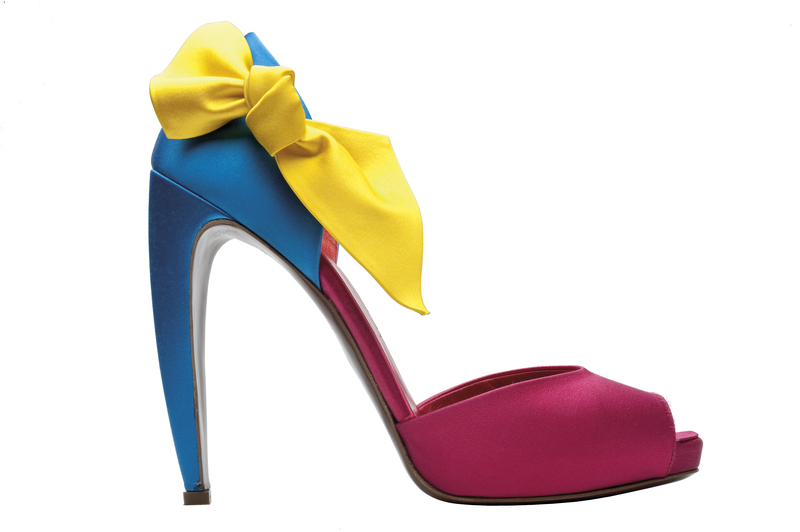 The Walter Steiger Spring 2011 Collection is immaculate. I spied the second-to-last pair of shoes in a magazine lately and they caught my eye. I'm wondering how easy/hard they are to walk in? I'm also drooling over the sculptural shapes and fun colors. What can I say? I'm a shoe addict! I've never had the pleasure of trying on a pair so not sure about comfort level. But do we REALLY care about our pain threshold when the shoes looks THIS fabulous?! I'm having a shoegasm! the first pair are gorge! !